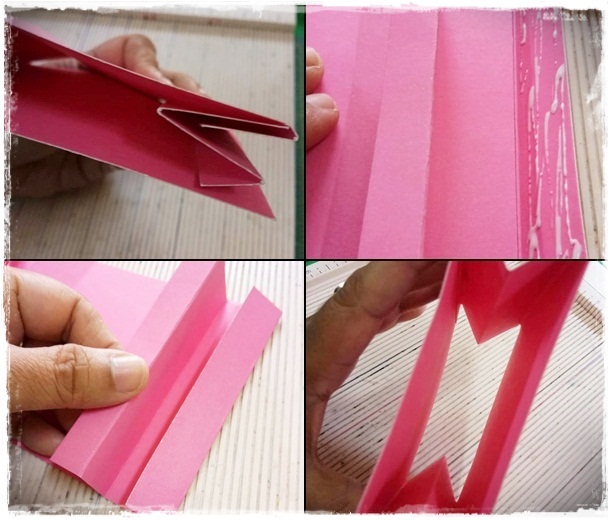 I would like to share with you an easy and quick tutorial for mini album making. This album can be used as return gifts for kitty party or for gifting little girls. Inspired from a YouTube craft video, I recreated this album and have made few modifications in measurements. Hope you all will like it. Enjoy! # 2 sheets of 12” * 12” card stocks in blue and pink colour. 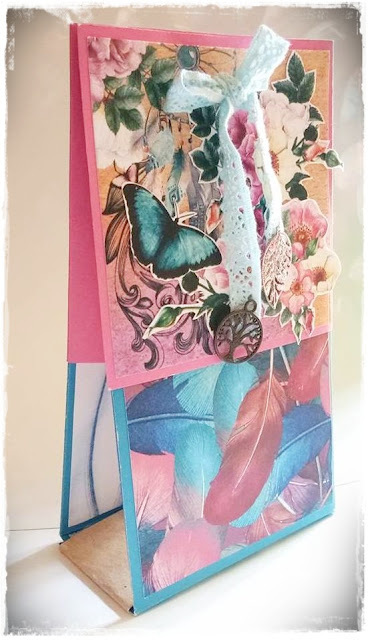 # Die cuts / Embellishments. 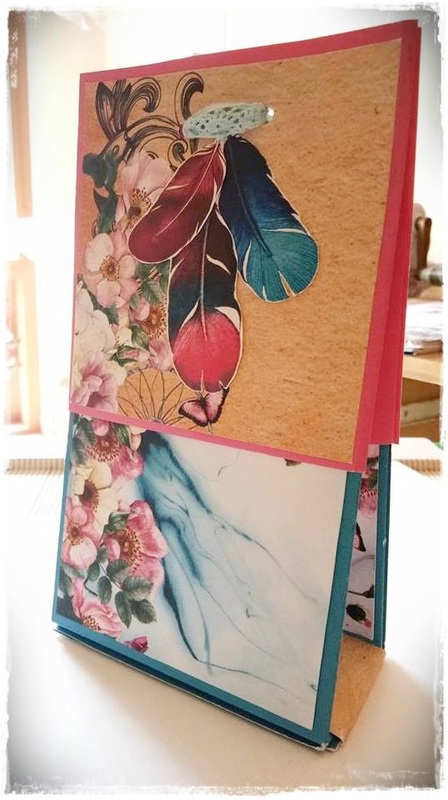 Step.1: In a blue card stock, score at 4” and 8”. Turn 90 degrees and score at 5” and 7”. Step.2: Trim off first 2 panels at 5” side. 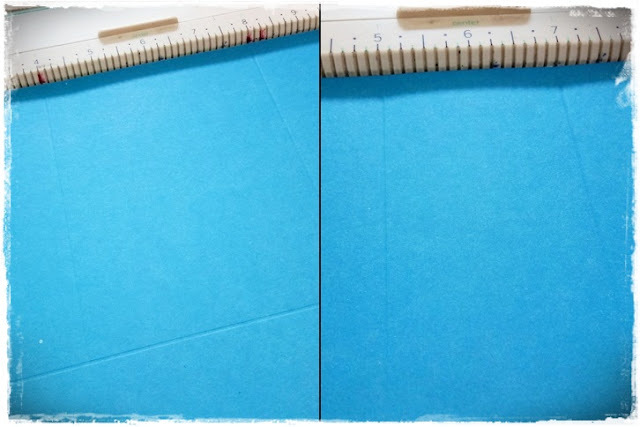 Likewise, trim off first 2 panels at 7” side, which makes the sheet look like an ‘S’ or ‘2’. Step.3: Take another card stock of 4 ¼” * 11” and score at 4 ¼, 51/4, 6 ¼, and 10 ½ at the 11 “side. 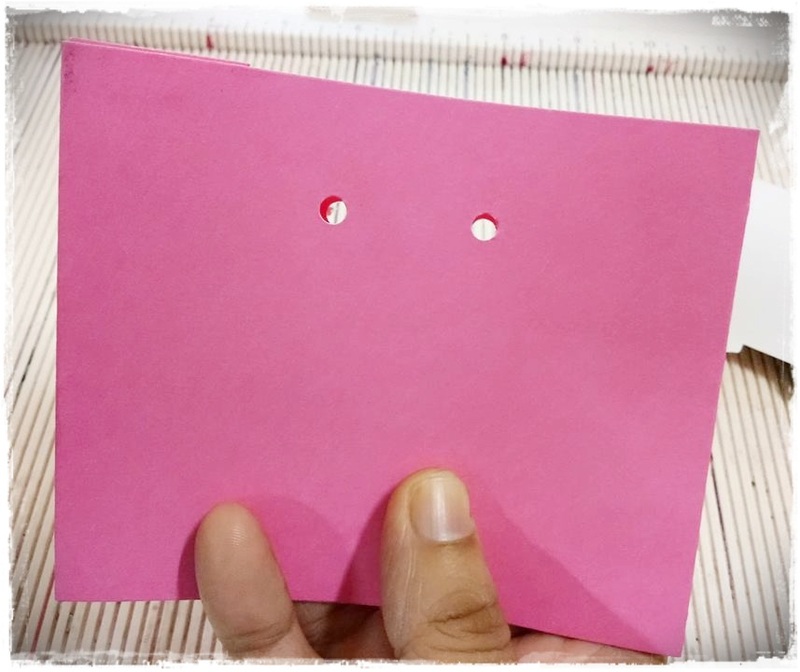 Step.4: In another pink card stock of 2 ½” * 4 ¼” and score at 1” and 2” at 2 ½” side. 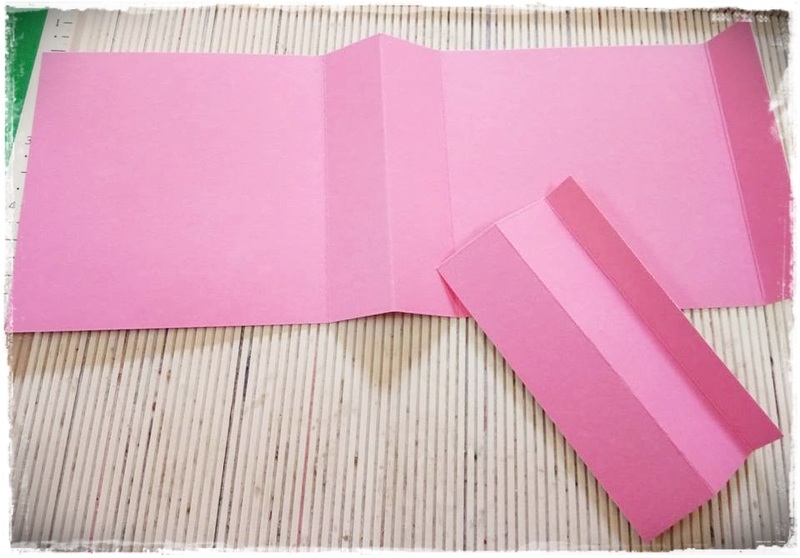 Step.5: Join the two pink card stocks as shown in the image to form a cover for the album. Step.6: Punch two holes in the pink cover to hold the ribbon/lace. 4 7/8”* 3 7/8”– 12 pieces. 1 7/8”* 3 7/8” — 5 pieces. 1 7/8” * 9” — 1 piece. 3 7/8” * 3 7/8” — 2 pieces. 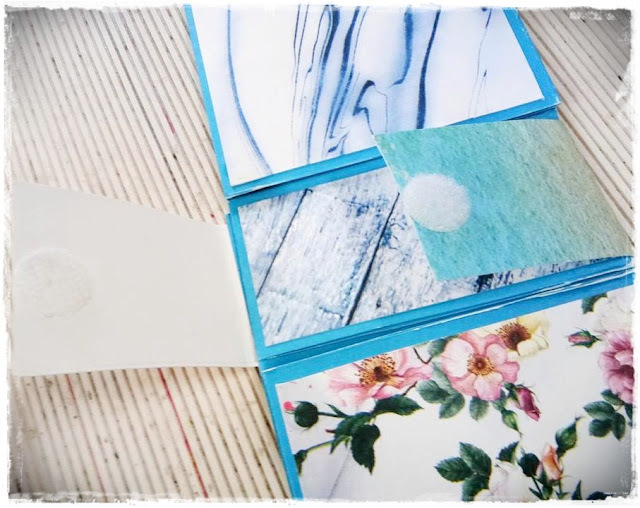 Step.8: Stick the long strip of pattern paper at the base of the album and add a Velcro to hold the album. Step.10: Here, we have the finished album in a bag! Step.11: I have attached a video showing how to open and close the album.